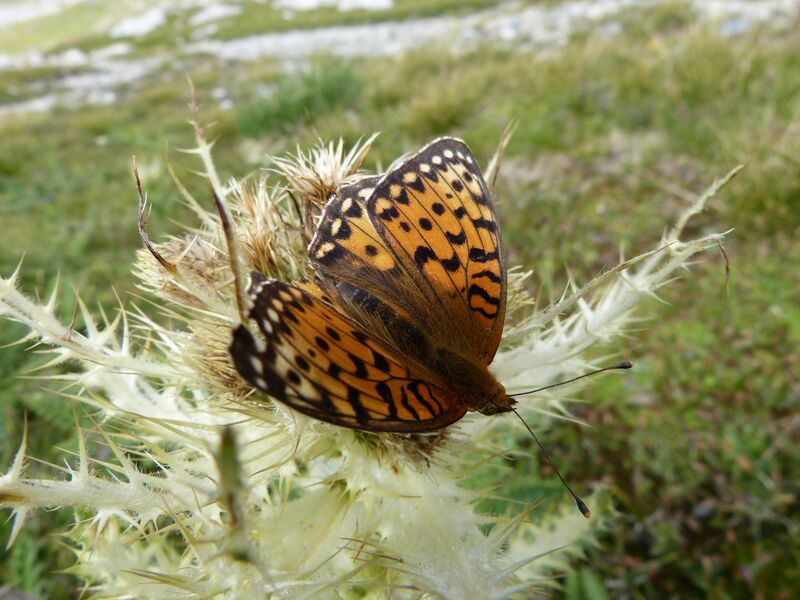 Photo taken in La Vanoise Natioanl Park, France. August 2012. While hiking in the high Alps, I was amazed by the varieties of wildflowers growing throughout the peaks and valleys. Although it was past prime flower season, an intensely colorful tapestry of wildflowers continued to thrive. There were also tons of beautiful butterflies gracefully landing on flowers. I reminded me of the fragility of life and its utter beauty. A thousand dollar picture. Beautiful.